My name is Emma and I am a National Trust volunteer. I also love scones. I have been a volunteer at Lanhydrock in Cornwall for 7 years. I work every other Sunday to fit in with my full time job. I volunteer in the shop, which suits me because I am surrounded by cookery books and jam. Both of which are useful when you love a good scone. Quite often I have a good old chin-wag with my customers about my favourite bakes and I'm pretty good at recommending a National Trust jam or curd to go in it. One of my favourite recommendations is a citrus scone with the National Trust passion fruit curd and clotted cream. My tummy is rumbling just thinking about it. Last year, I discovered NT Scones on Twitter. 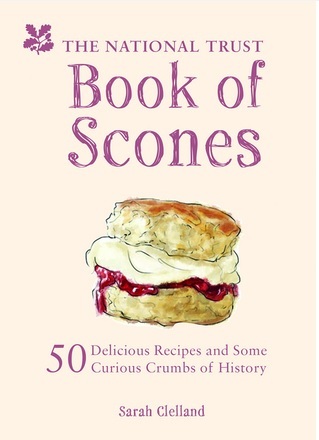 Shortly after, the National Trust Book of Scones was launched. This simply fuelled my passion for all things scone related. I am currently working my way through the book (present favourite is chocolate and hazelnut served with Nutella and clotted cream) and I will tell anyone who will listen about it. One day, back in March, I attended a preseason meeting with the rest of the retail team. The catering manager popped along to say hello and give a bit of insight into what the catering team were getting up to. This devolved into a rather lengthy (and possibly over enthusiastic on my part) conversation about my love of NT Scones and The National Trust Book of Scones. I think I may have scared her a little - I am rather passionate about the subject. A few days later I received an email; would I like to do some job shadowing in the kitchen and do some baking? It was arranged. Emma the Scone Lady gets to bake the scones for Lanhydrock! On the day arranged I eagerly turned up to the kitchens to bake and met Lisa who would be supervising me for the day. Donning my white coat and hat, I had a brief tour of the kitchen and then I was set to work. First on the list were the scones. 48 fruit scones were needed for afternoon tea in the restaurant. For anyone who hasn't been in a restaurant kitchen, it's just like baking at home but on a much larger scale. I am perfectly happy baking a dozen scones at my home for my friends or to take into work, but suddenly I was making 48 for the National Trust where scones are literally part of a visitor's experience. Assured by my mentor I was doing fine, the scones were put in the oven. All I could think about was what would happen if the scones didn't turn out right. There would be no scones for afternoon tea and it would be all my fault. No one would come to Lanhydrock ever again because they would tell the whole of the Internet that there were no scones. Ok, maybe I can be a little over dramatic but I was feeling the pressure! 23 minutes later the buzzer went on the the oven. The scones were perfect. There were set to cool and a couple hours later they went into the restaurant for service. I was so relieved I felt like I had won the Great British Bake Off. Now, I know this a blog post about scones but I would like to bring your attention to shortbread. Shortbread, the tearoom treat I always ignore for being boring. Never again. I can assure you that the most fiddly bake in the tearoom is the shortbread. Have you ever stopped to think about how the National Trust logo of the oak leaves gets onto it? The biscuit circles are cut out and then a round stencil with the oak leaves cut out in the middle is pressed hard onto it. Then by hand, very carefully, the biscuit it prized from the stencil. It's a skill I would like to see Mary Berry herself try. Too hard and the biscuit gets squished. Not hard enough and the leaves don't come out. Now, I don't know if Lisa was being nice to me, or whether I am some sort of shortbread whisperer, but out of 48 shortbread only 2 didn't come out right. Several weeks later and I am still feeling some proud of myself. After 6 hours, I had baked 48 fruit scones, 2 trays of gluten free chocolate brownies, 48 shortbread and 5 carrot cakes. All of which were edible. 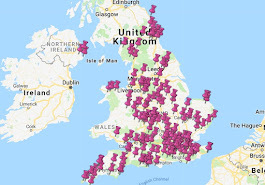 If you ever wondered where the recipes come from, they are in The National Trust Cookbook (available from National Trust shops). Finally, I'd just like to say a massive thank you to all National Trust catering staff. You work incredibly hard to provide some of the tastiest creations around and thank you for taking me in as one of your own for the day.